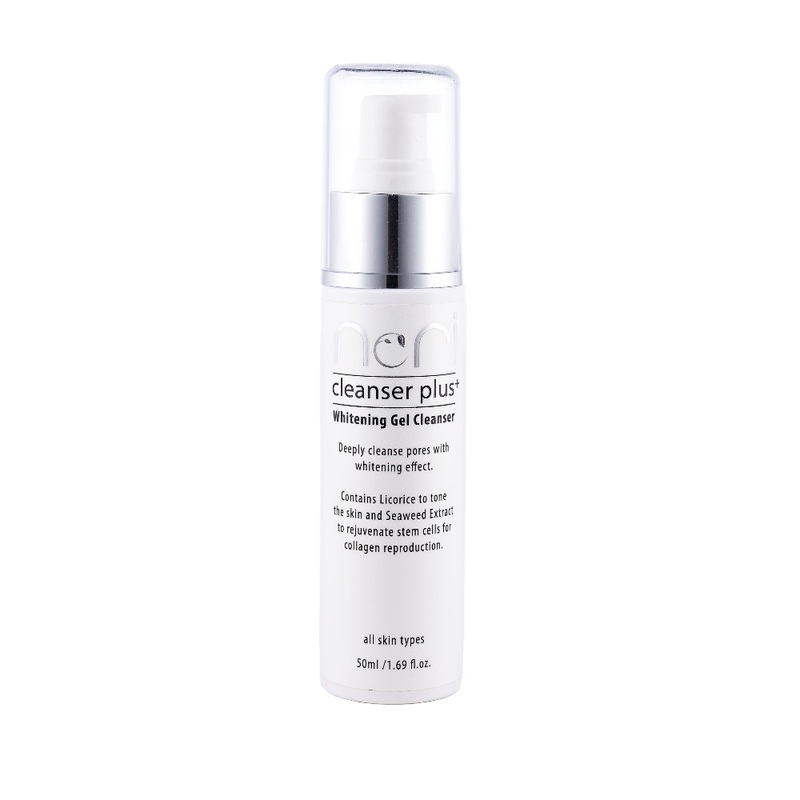 Nori Cleanser Plus is a whitening gel cleanser that deeply cleanse pores with whitening effect. Contains Licorice to tone the skin and Seaweed Extract to rejuvenate and give a more moisture skin. Aqua, Cocamidopropyl Betaine, Sodium Lauryl Sulfoacetate, Coco-Glucoside, Glyceryl Oleate, PEG-120 Methyl Glucoside Dioleate, Laminaria Digitata Extract, Phenoxyethanol, Methylparaben, Benzyl Alcohol, Benzoic Acid, Sorbic Acid, Glycyrrhiza Glabra (Licorice) Root Extract, Cocamid Metyl MEA, Disodium EDTA, Fragrance, Niacinamide, Glycerin, Butylene Glycol, Centella Asiatica Extract, Polygonum Cuspidatum Root Extract, Scutellaria Baicalensis Root Extract, Camellia Sinensis Leaf Extract, Chamomilla Recutita Flower Extract, Rosmarinus Officinalis (Rosemary) Leaf Extract, Potassium Sorbate, Sodium Benzoate. Apply Nori Cleanser Plus+ directly to moist skin. Massage in a circular motion. Rinse thoroughly. For best result, use regularly. Nett weight: 50ml /1.69 fl.oz.